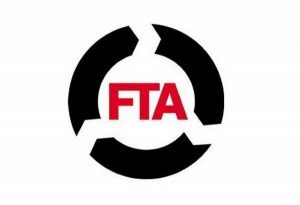 The Freight Transport Association (FTA) is calling on both the French and British authorities to implement stricter controls at Calais in the wake of the tragic death of a migrant in the Channel Tunnel and ongoing disruption and unrest. After weeks of violent disturbances at the French port, the FTA has now described the situation as "deplorable" and has called for urgent action to address issues of driver intimidation, spoiled loads, stowaways and general unrest that threaten to see more lives lost if immediate measures are not put in place to tackle these problems. FTA chief executive David Wells stated: "It is a tragedy that the deplorable situation in Calais has resulted in a fatality today (July 7th), but it was clear that the issue at the port was spiralling out of control. "We have been calling on both the British and French governments to intervene for some time, and are now asking the prime minister to give the matter his urgent priority, and to implement plans to alleviate the crisis." Mr Wells added that the costs to the economy are now running into the millions of pounds as a result of severe pressures being placed upon haulage providers travelling via Calais. The issues of delayed departures, loads being broken into and drivers facing unacceptable levels of confrontation must be given the attention they deserve. A public intervention by the prime minister David Cameron to help to alleviate the crisis is therefore now being called for.